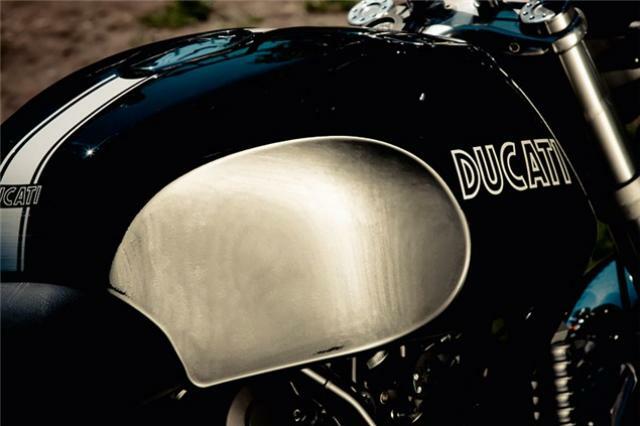 Classic styling for these retro inspired modern bikes, Triumph, Ducati and Moto Guzzi all have what it takes. But who's got it licked? Out of the three Sport Classics the GT1000 is by far and away the most satisfying to own and in many ways is the best retro bike on the market for riders who want the grace and style of a classic, yet don’t want to sacrifice performance and handling. 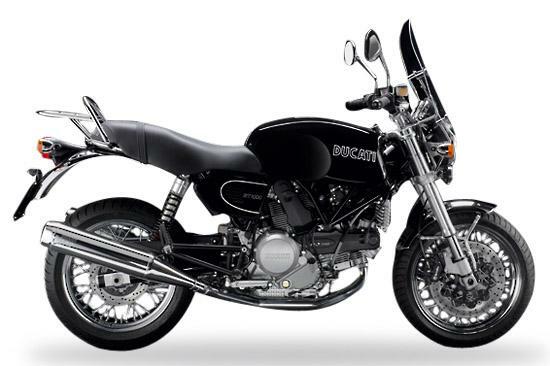 While you may be tempted by the half-faired 1000S or café racer 1000 they have their limitations and both are cripplingly uncomfortable to ride due to their low clip-on bars, and this is despite Ducati altering their design after a few years in an effort to appease buyers. 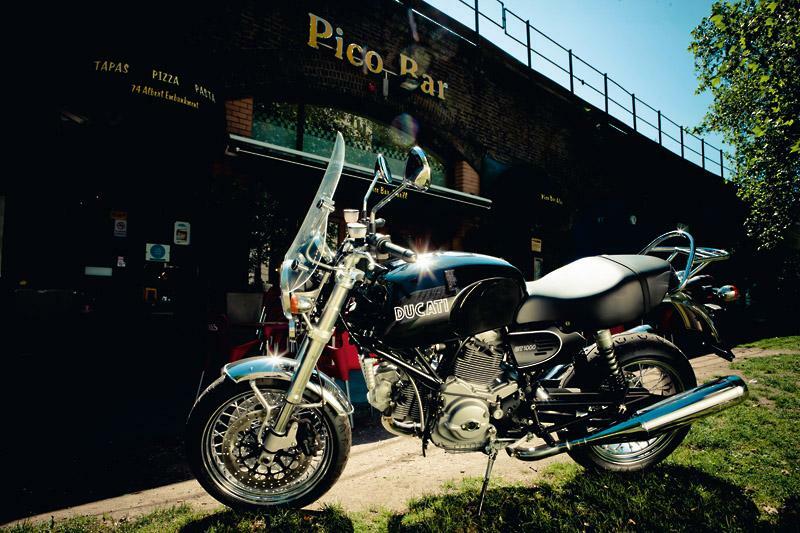 The GT1000 has none of these issues, its high bars provide a relaxed riding position while the gigantic seat (adorned with a period Ducati logo) cushions your backside and even provides ample pillion provisions. On the face of it the GT1000 looks like a bike that could be all style and no substance. The aesthetics of the Ducati are spot on and a lot of work has gone into making it look right. The Pirelli tyres are a modern compound with a special retro tread pattern cut into them, the GT comes in a range of muted yet cool colours (the olive green is beautiful) and little touches such as the analogue dials, chrome horn covers, slotted side panels, twin chrome pipes and bullet indicators are all in keeping with the period. But blended in with all this retro cool are modern components aimed at enhancing not only the ride but also the bike’s sporty edge. Unlike Triumph Bonneville range (pre-2010 update) the spoke wheels are sportsbike standard fat 17-inch items, the forks inverted 43mm Marzocchis and the engine is Ducati’s 1000cc air-cooled V-twin, one of the most under-rated engines on the market. While it comes with the traditionally heavy Ducati clutch action this is quickly forgotten about as the two valve per cylinder engine provides fierce low down stomp and the kind of acceleration completely unexpected from such a graceful machine. 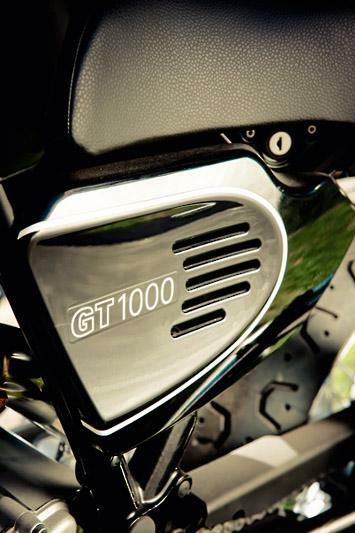 The GT1000 is a wolf in sheep’s clothing. It’s a bike with emotions. 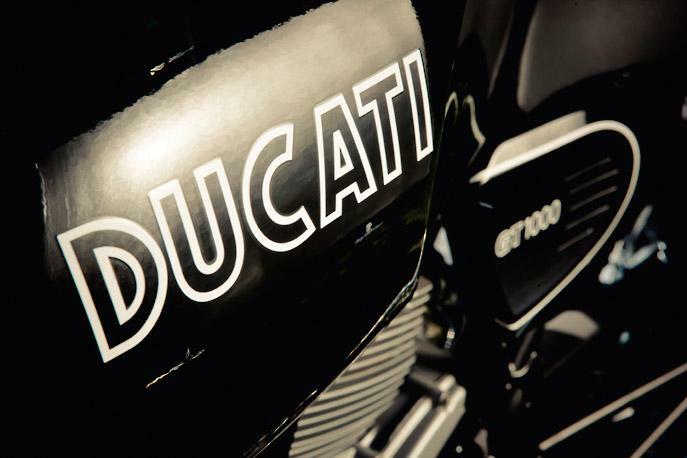 You can feel the V-twin engine throbbing, it has the soul and sound of a Ducati, yet it also has the performance of a modern bike rather than a disappointing and wobbly ride. 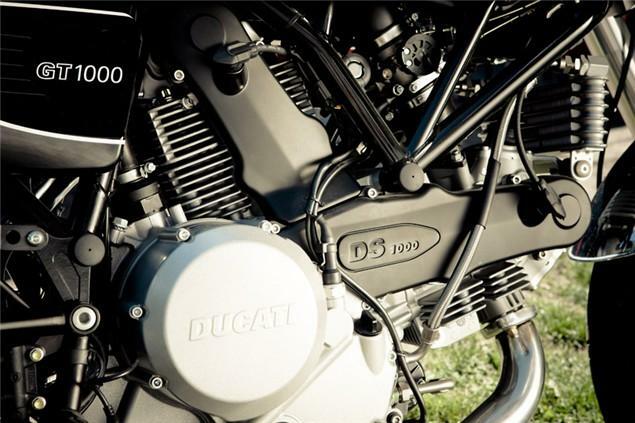 The handling is almost as good as any contemporary naked bike such as the Speed Triple or CB1300 yet the Ducati has a beauty and attention to detail when it comes to styling that others lack. While Ducati has pruned the other bikes from the Sport Classic range the GT1000 remains in its line up. Classic Ducatis are a dangerous minefield when it comes to buying used, but the GT1000 makes an excellent modern alternative to these by having all the old school looks, without the worrying reliability record. With the GT1000 only having been around for a handful of years, and with it being something of a niche machine it means there isn’t much of a choice secondhand While this could put some off, the GT isn’t the type of bike to be allowed to rot over winter, with most of them having yet to see 5,000 miles. If it’s not mint then walk away. Rear Hugger: The GT1000 divides opinion amongst many who think the back end looks out of proportion to the front. A simple fix to this is to fit a new rear hugger that is closer to the rear wheel and also does a better job of keeping road crap off the bike (especially the battery). From £105.75 (www.worldofqbcarbon.com). 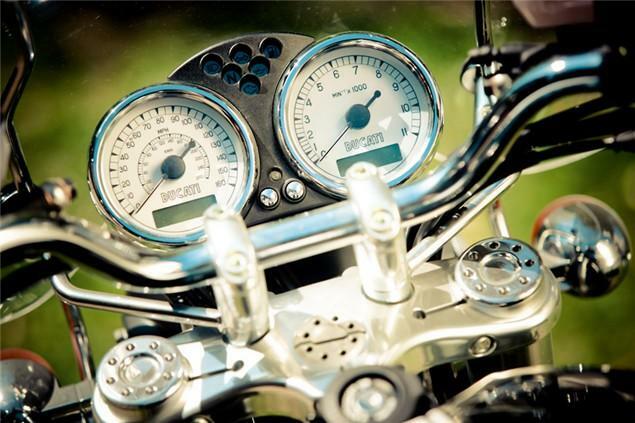 Gearing: Some owners like to make a small but effective alteration to the gearing of the GT, to lower it giving better acceleration and a lower cruising speed. 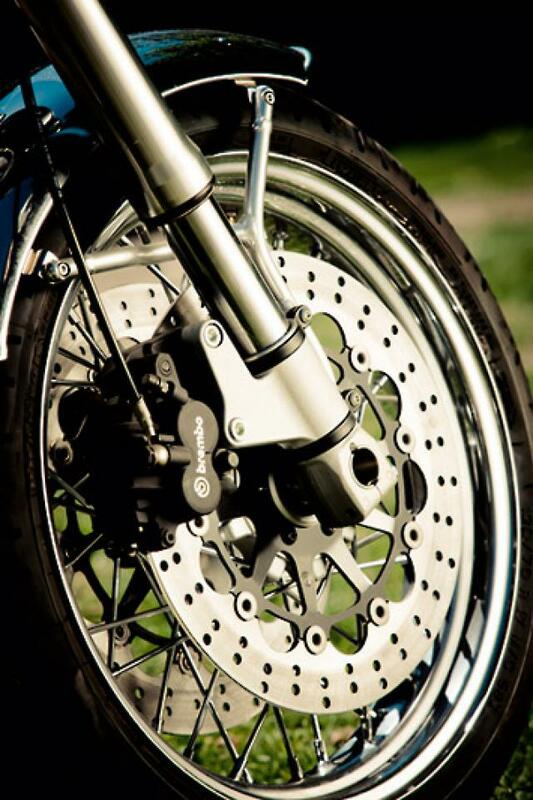 The 15 tooth front sprocket can be replaced by a 14 for the desired effect. £15.94 (www.wemoto.com). Exhaust: It would be a crime for a bike this retro to not have a retro soundtrack to go with the looks. 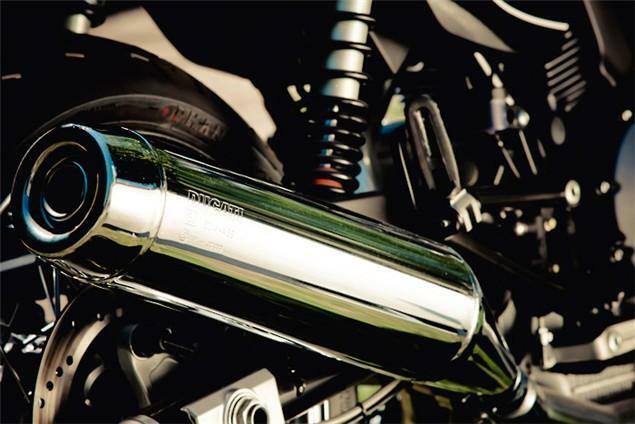 For a Ducati, the obvious choice is Termignoni and they can dutifully supply a pair of slip on end cans. Although the price is a bit salty they definitely add an extra element to the bike, making it even more of a pleasure to ride. Around £970 (www.ducatiperformance.com). The only common complaint from owners is the spoked wheels suffer from corrosion, although this is most likely due to them being more difficult to thoroughly clean than standard wheels. The electrics stand up to scrutiny with only the odd problem of water in connectors from very few owners. There are a few niggles that some complain about, such as Ducati’s traditionally heavy clutch, but the bike is mechanically sound, as it should be considering its lack of years. Pretty dependable on the whole.